Our Rockfish community sadly lost a pillar on Tuesday, April 9, 2019, when Mrs. Grace Evelyn Kelton, favorably known by many as Amazing Grace, peacefully passed away at home from natural causes at the age of 86. She was born December 12, 1932. She attended Fayetteville State University and the School of Nursing in Wilmington, NC. Her contributions to the lives of many include, among other things, her lifetime membership at St. Elizabeth of Hungary Catholic church, where she served on many committees, her distinguished service to early education in the Hoke County School System for more than 40 years, her co-founding the Lawrence Ray Scholarship fund, a 20-year stint as a member of the NAACP, supporter of the Rockfish Neighborhood Community Watch Program, and the development of a student mentoring program. Amazing Grace is survived by the loving community of Rockfish, her husband Mr. Worthy F. Kelton, and sons, daughters ,along with their wives and children: Philip C. Kelton of Yardley, Pa, Karen M. Kelton of Atlanta, GA, Kristopher C. Kelton of Raeford, NC, Paul F. Kelton of Ft. Washington, MD, Dr. Teresa P.M. Kelton of Milford, CT, Kristen C. Kelton of Rockfish, N.C., Emily R. Kelton of Durham, NC, Howard Bailey, Willie Ellerbe, Kara Kelton, Olivia Kelton, Lauryn Kelton, Sean Kelton, K’marion Ellerbe and Aniyah Ellerbe, as well as her sister, Brenda Parkins and her brother, Anthony Martin, along with Betsey Bailey. She was preceded in death by her mother, Margaret Martin and one brother, Fred Currie. Her legacy will live on in the hearts and minds of her family, everyone she interacted with as well as those she has touched but never met. 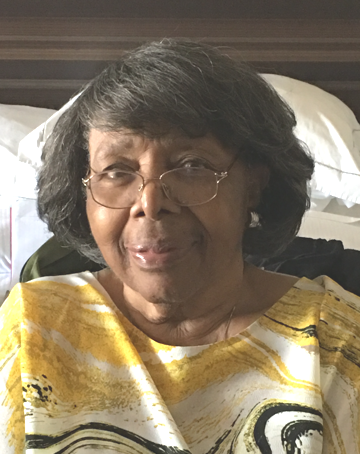 In lieu of flowers or food for the family, you can help continue her kindness, loyalty and compassion by making a donation to, or volunteering at, one of the organizations Amazing Grace loved: North Carolina Association of Educators; NAACP; or Catholic Charities. Funeral services will follow on Friday, April 12, 2019 at 11:30a.m. at St. Elizabeth’s Catholic Church with Father John-Alex González officiating. Interment will follow at Eastlawn Cemetery in Raeford. Pallbearers will be: David Avilla, Ervin Dudley, Maurice Parkins, Michael Parkins, Philip Kelton, Paul Kelton, and honorary pallbearers,Alberto L Figueroa Velez, and Jenny Ramos Figueroa.